Jura has settled in extremely well- she knows which couch is the most comfy, how to sneak in to our bedroom when we're not looking to lie on the bed, and which cupboard her treats are kept in. At first she was a bit scared of the traffic and the hustle and bustle of the city but now takes it all in her stride. Jura has several local admirers and she's always happy to stop and meet new people. We took her to her first GAP greyhound run in Otaki last week. 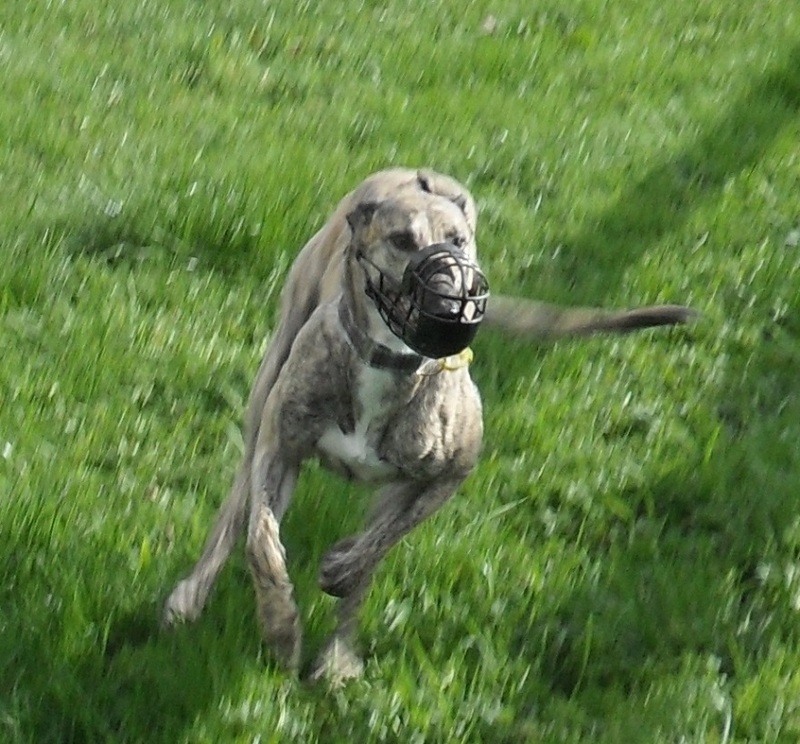 She thoroughly enjoyed it and made a few friends, fabulous to see her run with the other greyhounds. 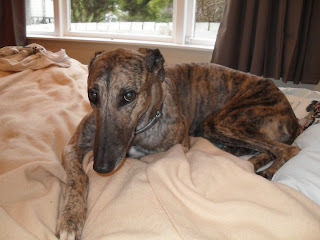 The whole adoption process has been seamless and we really feel you matched us with our perfect (if slightly greedy) greyhound. Thank you GAP!